Move over, Apple and Samsung. The next big smartphone might be from little-known Chinese brands such as TCL and OPPO. Along with other Chinese phone makers such as Huawei and Xiaomi, Chinese brands have surpassed Samsung in China and are encroaching on Apple's turf. In the coming years, analysts forecast that these cheap Android phones with not-so-cheap features will likely attract more budget-conscious customers in Europe and even in Samsung's and Apple's home markets, South Korea and the United States. Chinese phone makers made their global ambitions known at this week's Mobile World Congress wireless show in Barcelona, Spain. Huawei and TCL vied to steal the spotlight from Samsung and LG, both of which announced new high-end phones at the show. 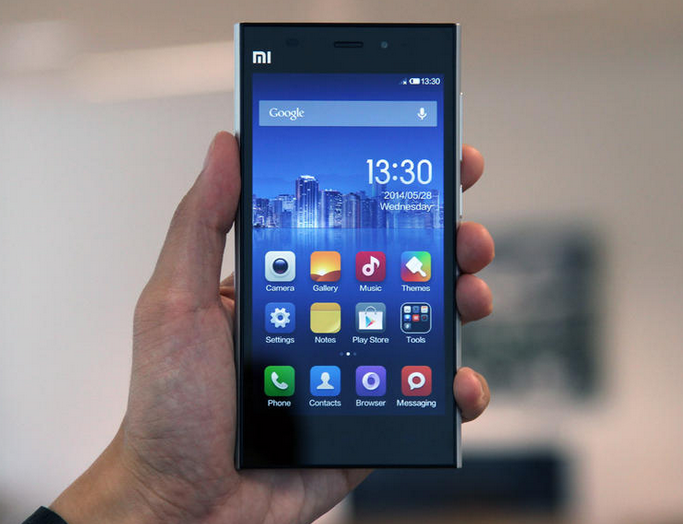 Xiaomi, which typically launches phones in China, will preview the Mi 5 phone in Barcelona on Wednesday. "The Chinese smartphone vendors have a very unique feature - it is the price," said Shu On Kwok, editor of AndroidPIT, a website that tracks Android developments. "You get the same features as an LG or a Samsung smartphone has hardware-wise, but for a lower price." Samsung saw its market share decline in 2015, while Apple forecast its first revenue decline in over 13 years. Both will have to do more to prove the value of the extra dollars their customers pay. Along with premium hardware, Apple has tried to position its products as unique by offering software, services and apps that work only on Apple devices - although in many cases comparable services are available for Android devices. At Samsung's product event Sunday, mobile chief D.J. Koh said "we have other ideas" beyond core smartphone features. Samsung, for instance, is promoting its Galaxy phones' compatibility with a Samsung virtual-reality headset and an upcoming 360-degree camera. But VR is still in its early days, of interest largely to gamers and tech pioneers. The Chinese brands have already taken their toll on Samsung. Although it's still the largest smartphone maker in the world, Samsung is no longer among the top five phone makers in China, according to market research firms IDC and Counterpoint Technology. Profits from the mobile business have plunged to less than half of what it was in its heyday. Apple's sales in China rose in the fourth quarter, but its growth was outshined by Huawei. But bad news for manufacturers is good news for consumers. Many of these Chinese companies sell decent phones for less than $200, compared with about $650 for an iPhone or high-end Samsung Galaxy phone. In other words, for the same price, customers can buy three or four smartphones with decent cameras and screens. Chinese makers can keep prices low by reducing the profit margin and turning to cheaper components that are a year or two old. That means high-end phones still take better pictures and have sleeker, thinner designs. But phone innovation has slowed, and the advances appear marginal to many consumers. A Huawei photo taken in good light often looks just as good as an iPhone or Samsung shot when displayed on a small phone screen. Melissa Chau, senior research manager at IDC, said Chinese companies are catching up on phone design and quality even more quickly than Samsung did a few years ago. "Samsung was a fast follower in terms of innovation," Chau said. "These Chinese players, they are even faster." And while these phone companies are pushing cheap phones, they are starting to succeed in getting customers to pay more - though still not as much as an iPhone or a high-end Galaxy. For instance, the average price for Huawei smartphones in China was $213 last year, up 21 percent from 2014, according to IDC. Having succeeded in China, these phone makers are looking elsewhere to grow. OPPO, China's fourth-largest smartphone maker according to IDC, is marketing aggressively in southeast Asia. Xiaomi already sells phones in Indonesia, Singapore and Malaysia. At the Barcelona show, Huawei executive Adam Joshua said that while the company's focus has been on emerging markets, it also has eyes on "the European market, Australia, and obviously the last big one, the U.S."
Analysts said Huawei and Xiaomi will likely steal customers from Apple and Samsung in their strongholds as some budget-conscious consumers seek to upgrade their phones without financial pressure. When South Koreans were just starting to buy smartphones, many upgraded frequently to get longer-lasting batteries, sharper cameras and larger screens. Now fewer consumers care whether they have the latest technologies, said Oh Bong Yeon, a 38-year-old South Korean. They may even wait several months until the price drops. Although Oh has the iPhone 6, he said he would buy Huawei's flagship smartphone if the company starts selling it in South Korea. Raphael Rashid, 28, a British citizen living in Seoul, loves his Xiaomi Redmi Note 2, which his friend bought for him in China for about $120. Before Xiaomi, Rashid used a $150 Huawei smartphone for about a year. "For a thousand dollars, I can get five new phones in the space of two years," he said. "I'll always have the latest phone." Much of the growth comes from consumers who feel comfortable buying phones directly from manufacturers online, rather than from the wireless carrier. In the U.S., consumers are just starting to warm up to direct online sales, especially as carriers stop offering discounts in exchange for two-year contracts. Huawei is now the third-largest smartphone maker in the world. Its market share exceeded 7 percent last year, compared with less than 6 percent in 2014, according to IDC. That's still far behind Samsung's 23 percent and Apple's 16 percent, but success doesn't necessarily mean being No. 1 everywhere. In fact, ZTE mobile chief Adam Zeng said the Chinese phone maker wants to be in the top three in selected markets - read that as No. 3 - and not necessarily worldwide. And Xiaomi might have trouble expanding to established markets - particularly the U.S. - because of accusations it has copied or closely imitated designs from Apple and other companies. Phone manufacturers routinely sue each other in these markets, and Xiaomi will need to build up a portfolio of its own patents to defend itself. Even if gaps remain in market share, IDC's Chau said Chinese companies can at least close the gap in brand reputation in about three years. That's partly because Apple and Samsung are struggling to stay cool. She said that while Apple is still the premium brand in China, "it's been around for a while and people are familiar with it. It lost the extra shine of being the new."